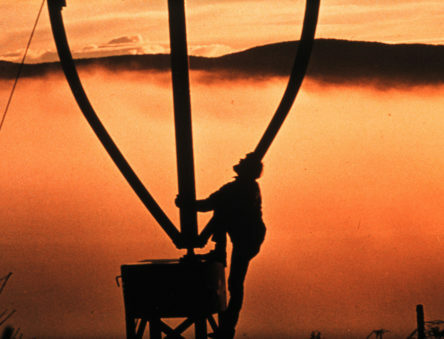 For more than 45 years CAT has inspired, informed and enabled people to achieve practical solutions for sustainability. 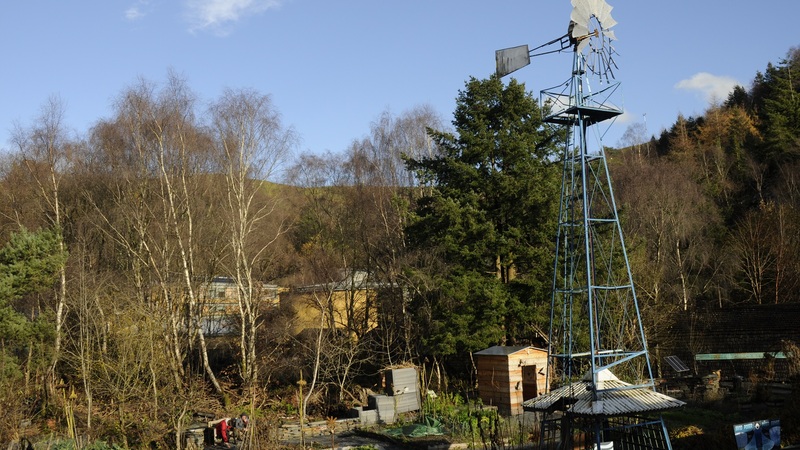 Founded in 1973 on a disused slate quarry in Mid Wales, CAT has evolved from a community to a visitor centre to an educational charity specialising in sharing practical solutions for sustainability. 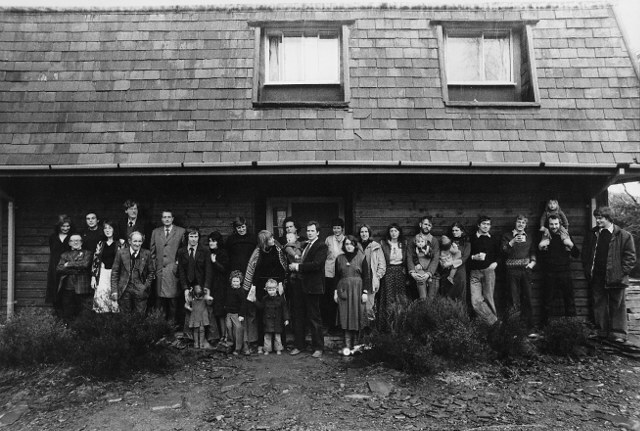 Group photo from 1978 of staff outside Tea Chest. CAT was started by a group of committed volunteers, including engineers, architects, builders and growers, who wanted to find ways of living without relying on fossil fuels. 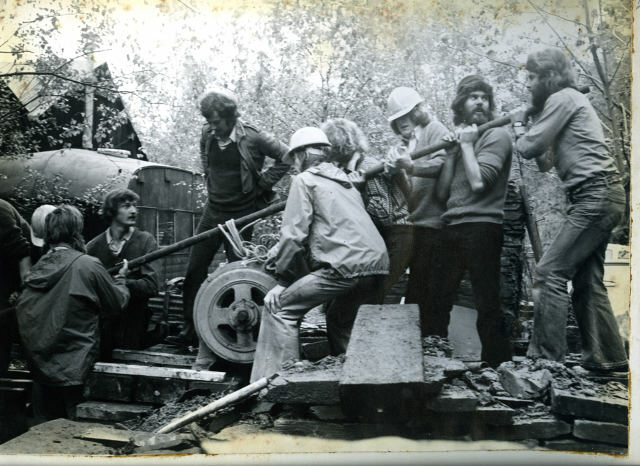 It began life as an off-grid community that acted as a test-bed for experimenting with alternative types of technology in response to the 1970s oil crisis and a growing concern about the environmental impact of fossil fuels. 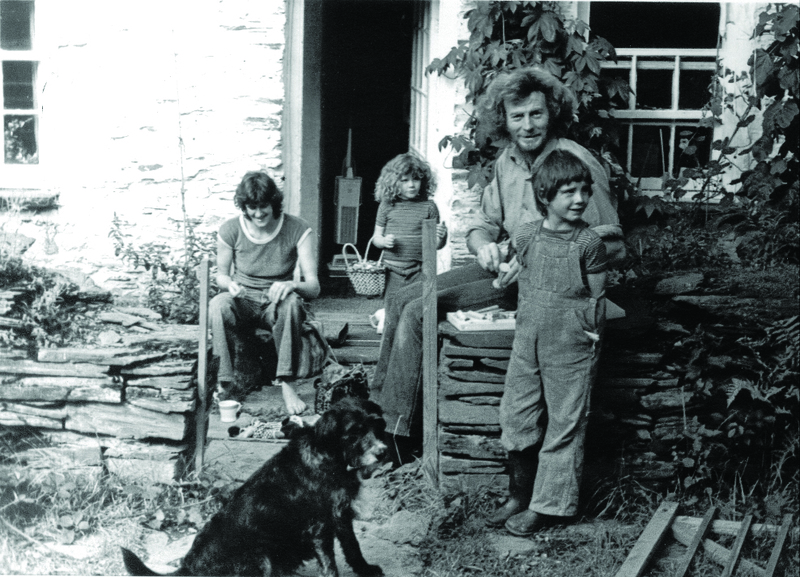 “What was needed was a project to show the nature of the problem and indicate ways of going forward.” CAT founder, Gerard Morgan-Grenville. 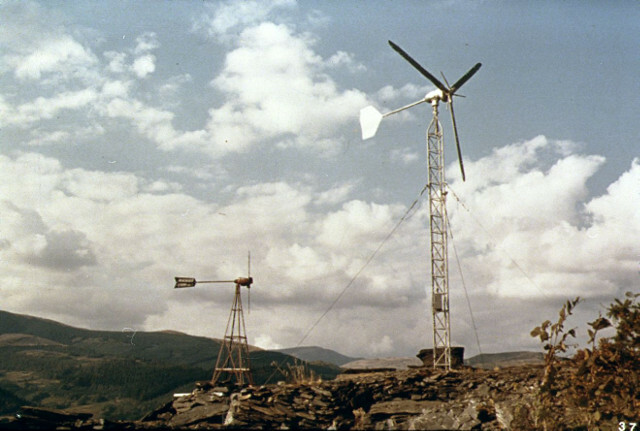 Early experiments with wind and solar contributed to the development of the commercial systems that are now pivotal in the fight against climate change. 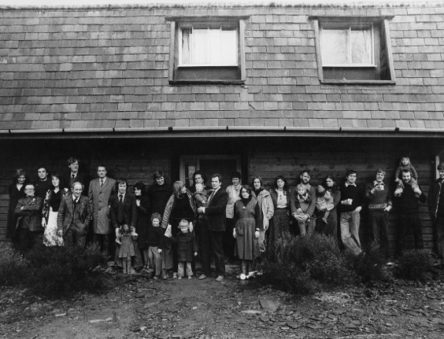 As word spread about this pioneering organisation, more and more people wanted to see it for themselves. 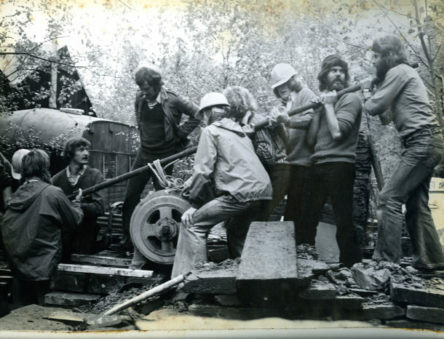 The CAT visitor centre opened in 1975 as a way of sharing the vision and ideas with a much wider range of people, showcasing the technologies and choices that can help us build a more sustainable society. 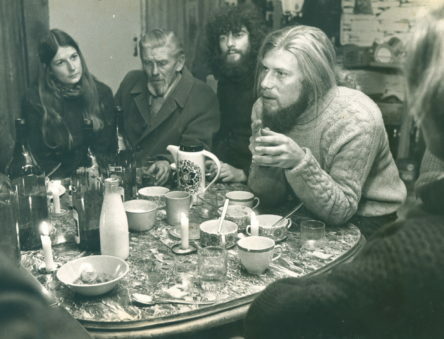 You can listen to some of the early volunteers discussing life at CAT on BBC Radio 4’s The Reunion. 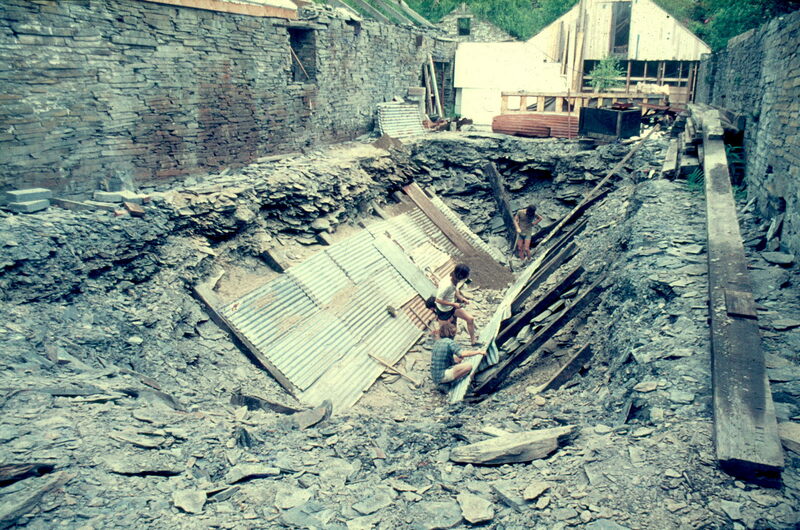 The quarry on which CAT is built was abandoned in the 1950s after producing slate for the best part of a century. 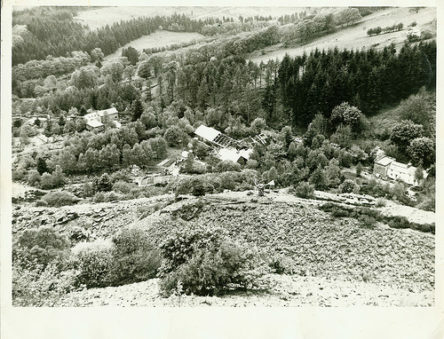 By 1973, there were just a few derelict buildings on top of an old slate tip. 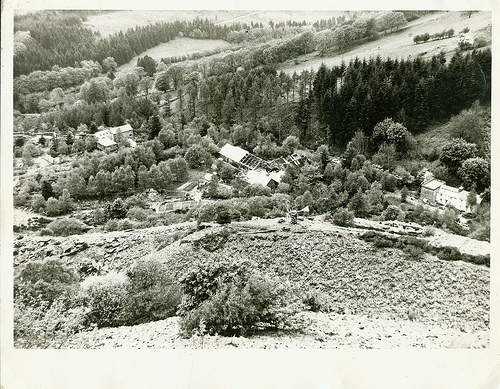 Over 40 years later, the site is unrecognisable, with its rich variety of gardens, woodlands, ponds, green buildings, exhibitions and displays. 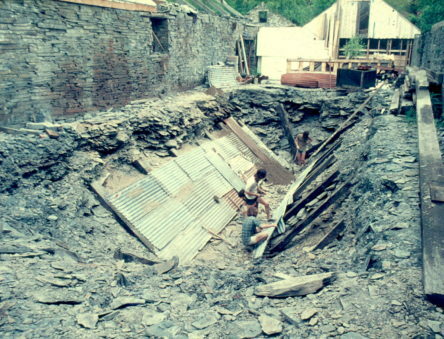 This transformation has come about thanks to the hard work of dedicated staff and volunteers, with the support of thousands of others across the years. 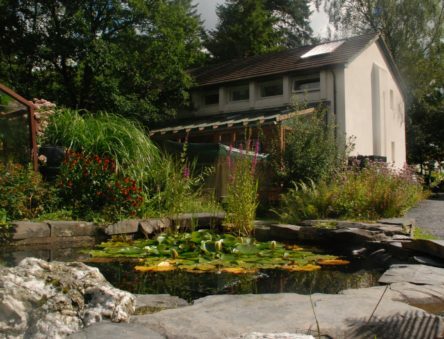 To create the gardens, soil had to be built up by making compost, trees and shrubs were planted to create diverse wildlife habitats, existing buildings were completely refurbished, and a range of new buildings have been added across the decades, including most recently the award-winning WISE education and conference centre, which opened its doors in 2010. At first, all heat and electricity had to be produced on-site as CAT was entirely off-grid. As the centre expanded, it made more sense to connect to the grid via a green electricity tariff, although we still generate some of our own electricity via solar and hydro (the site isn’t great for wind power). 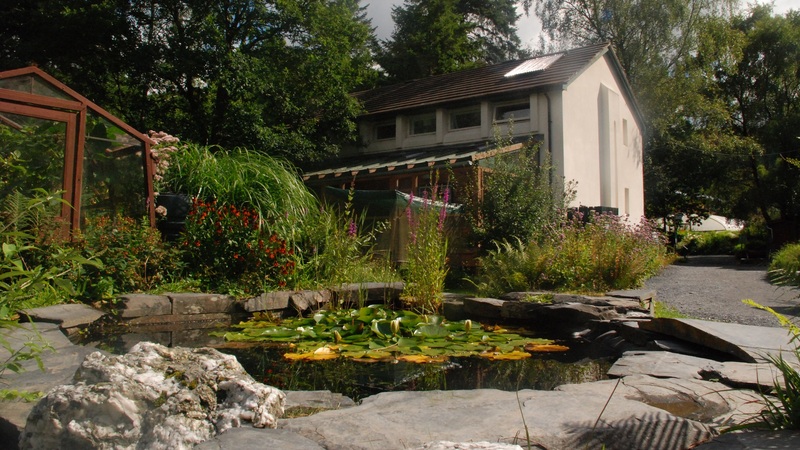 We also generate our own heat and hot water through solar thermal panels and efficient biomass boilers. CAT has a long history of research and innovation: from early experiments with wind power that helped with the development of modern wind turbines, to the creation of prototypes of solar-powered vaccine fridges that are now saving lives across the world. We have experimented with new ways of producing compost and treating waste, innovative low-carbon building materials and methods, various types of renewable heat (some more successful than others! ), and much more. Since 2007, our main research focus has been our Zero Carbon Britain project, which provides a model for how the UK could reach net zero greenhouse gas emissions using technology available today. 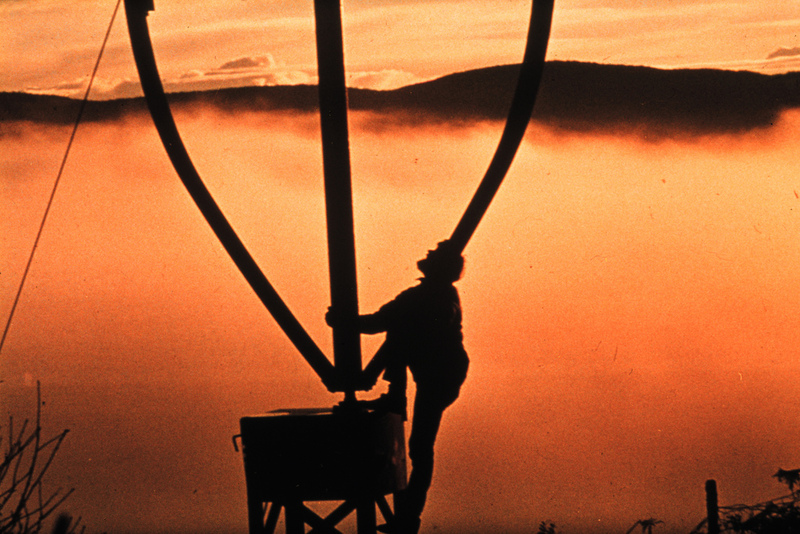 From the very early years, CAT has had an educational mission, and the need to switch away from fossil fuels to more sustainable sources of power has always been at the core of our message. 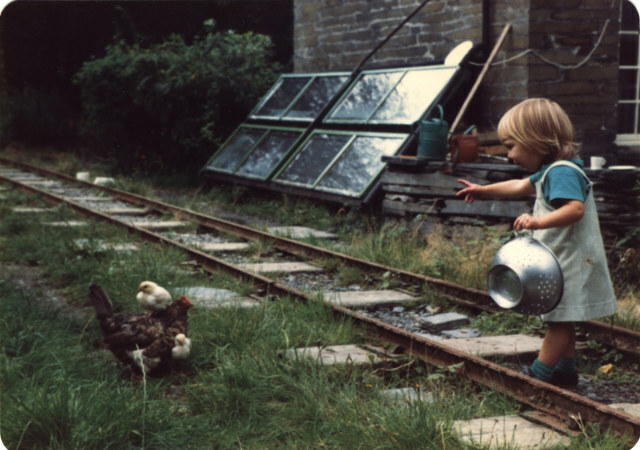 Throughout our history, we have welcomed visitors and school groups and provided educational materials on a wide array of topics related to sustainability. 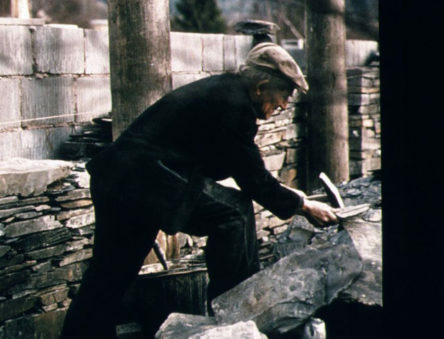 Weekend and week-long courses for adults were added in the 1980s in response to a growing demand for training in renewable energy and sustainable building. As the urgency of climate change became increasingly obvious, CAT’s Graduate School of the Environment opened in 2007 to provide the essential knowledge and skills to help people understand and develop solutions to this and other environmental challenges. To date, 1,795 people have studied with us, going on to use the information and understanding gained at CAT to make a real difference in the world. You can read some of their stories in our ‘What we do’ section. 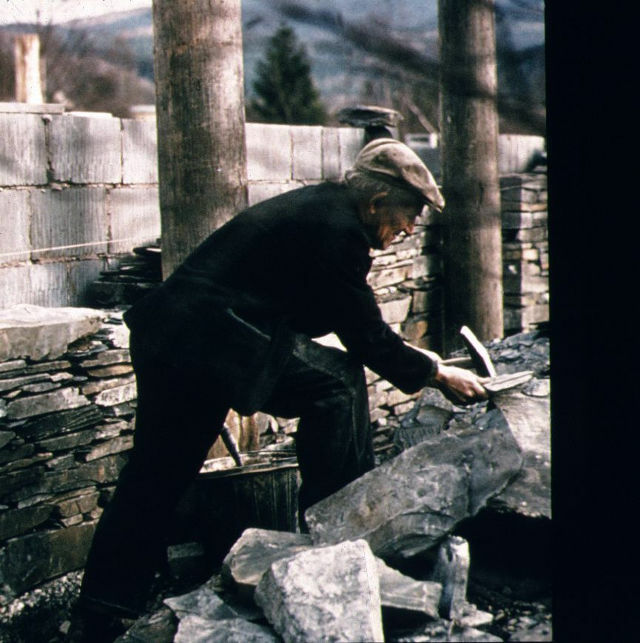 Throughout CAT’s history, we have relied on the support of people like you. CAT is a registered educational charity, and we are extremely grateful to all of the individuals who help support our work. From the £20,000 donation that kick-started the whole thing, to the ongoing direct debits that help cover our everyday running costs, we simply would not be here without your dedication and support. Find out more about CAT’s mission and how we inspire, inform and enable people to achieve practical solutions for sustainability in our ‘What we do’ section. 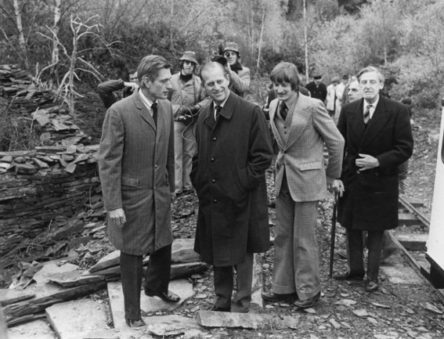 1973: CAT opens with a £20,000 donation. 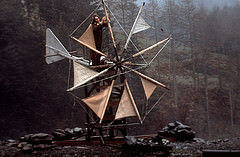 1974: First hydro installed. 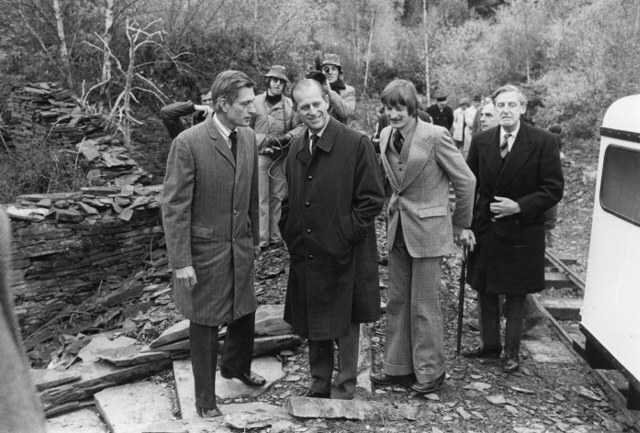 Prince Philip visits. 1975: CAT opens a visitor centre. 5kW Elektro windmill arrives. The country’s first completely solar-heated building is built, complete with an inter-seasonal heat store. 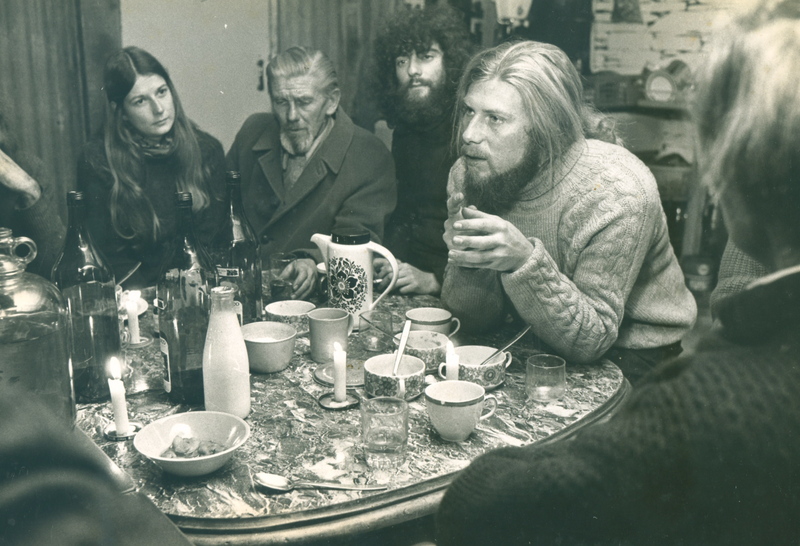 1977: An Alternative Energy Strategy for the UK is published and presented to Tony Benn’s Energy Ministry. Solar panel test monitoring undertaken. 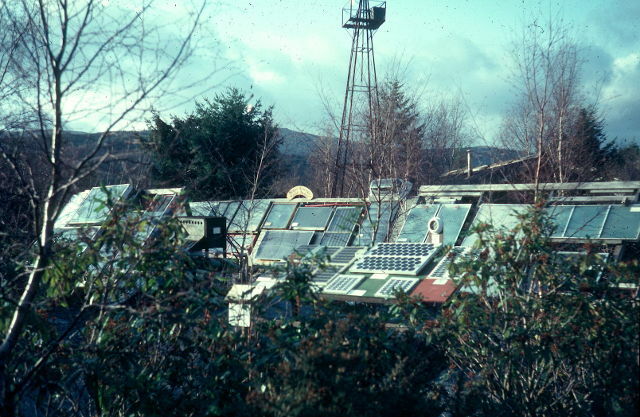 1982: Dulas Engineering Ltd founded at CAT – they go on to become an independent company, inventing a solar fridge that helps preserve vaccinations in off-grid locations across the world. 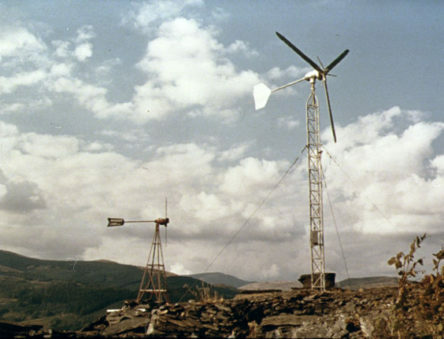 1984: Polenko wind turbine installed. 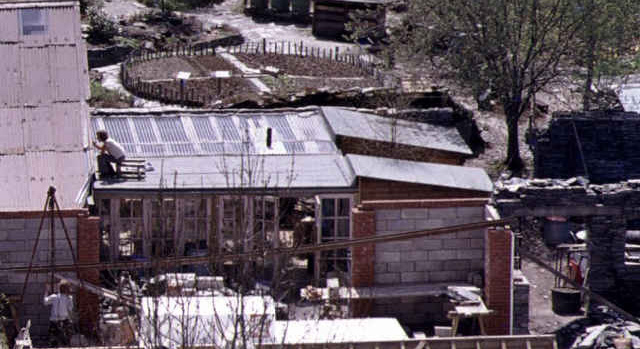 1988: Eco Cabins built. Aber Instruments founded at CAT. 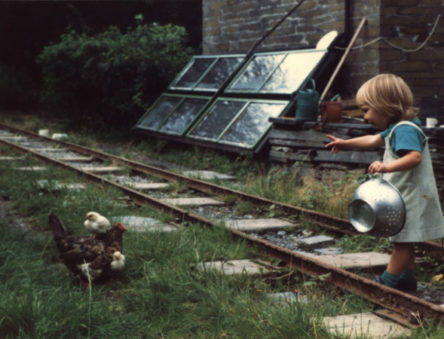 1991: Water-balanced cliff railway finished. 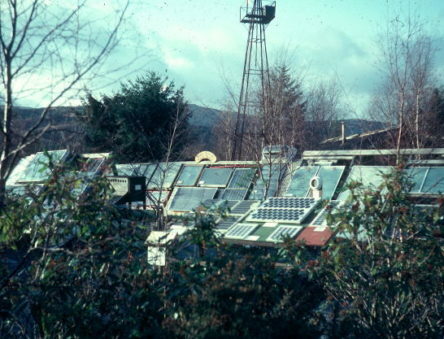 1996: Largest PV roof in UK installed at CAT. 2000: Strawbale Theatre finished. AtEIC Environmental Information Centre, an award-winning low energy building, opened. 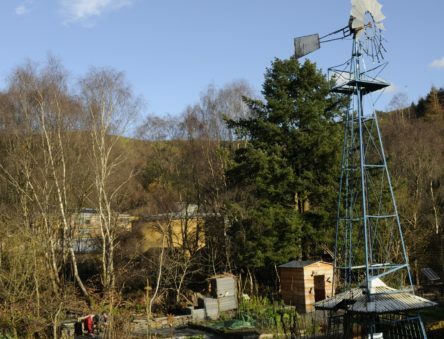 2003: First community wind turbine in Wales erected with CAT. 2007: Graduate School for the Environment launched. 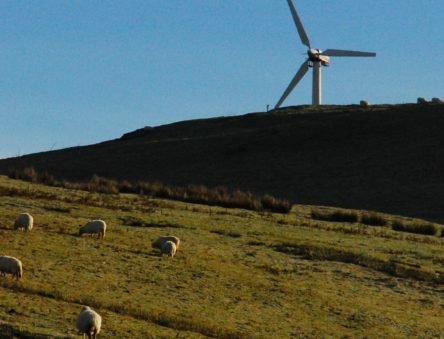 First Zero Carbon Britain report published by CAT. 2010: WISE education and conference centre opened – built with experimental low-energy building materials, including the tallest rammed earth walls in the UK. Zero Carbon Britain 2030 launched. 2013: Zero Carbon Britain: Rethinking the Future published. 2014: New MSc in Sustainability and Adaptation launched. 2017: New MSc courses in Sustainable Food and Natural Resources and Sustainability in Energy Provision and Demand Management. 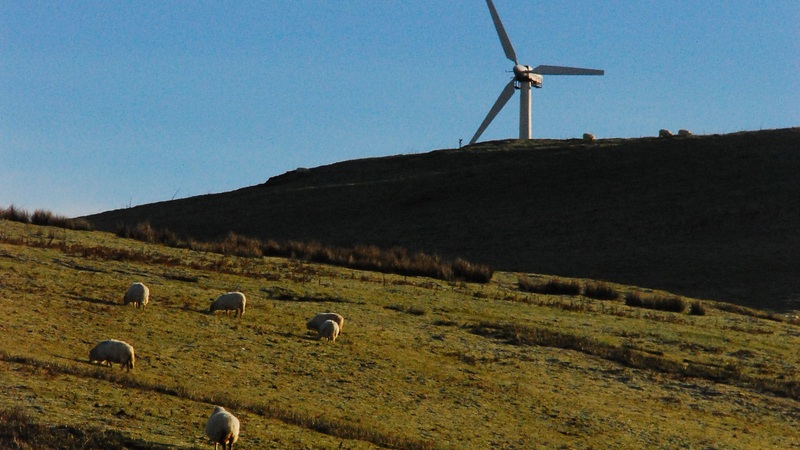 Zero Carbon Britain: Making it Happen report published. 2018: Raising Ambition: Zero Carbon Scenarios from Across the Globe published. New postgraduate degrees in Behaviour Change for Sustainability, Green Building and Sustainability and Ecology announced.